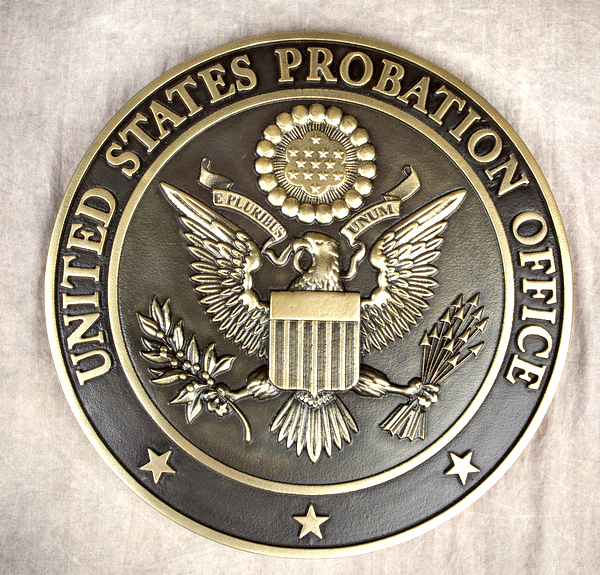 Above is a photo of a brass-coated 3D carved HDU US Great seal customized for the US Probation Office. The text and art on this plaque is hi-polished brass and the background is dark patina. This is a very handsome plaque and is one of our favorites.